According to a new study in the journal Nature Astronomy, technology currently available would not be capable of rendering the atmosphere on Mars Earth-like anytime soon. Scientists in the past have called for melting the Martian polar ice caps and liberating greenhouse gases to simulate a thicker, warmer atmosphere. 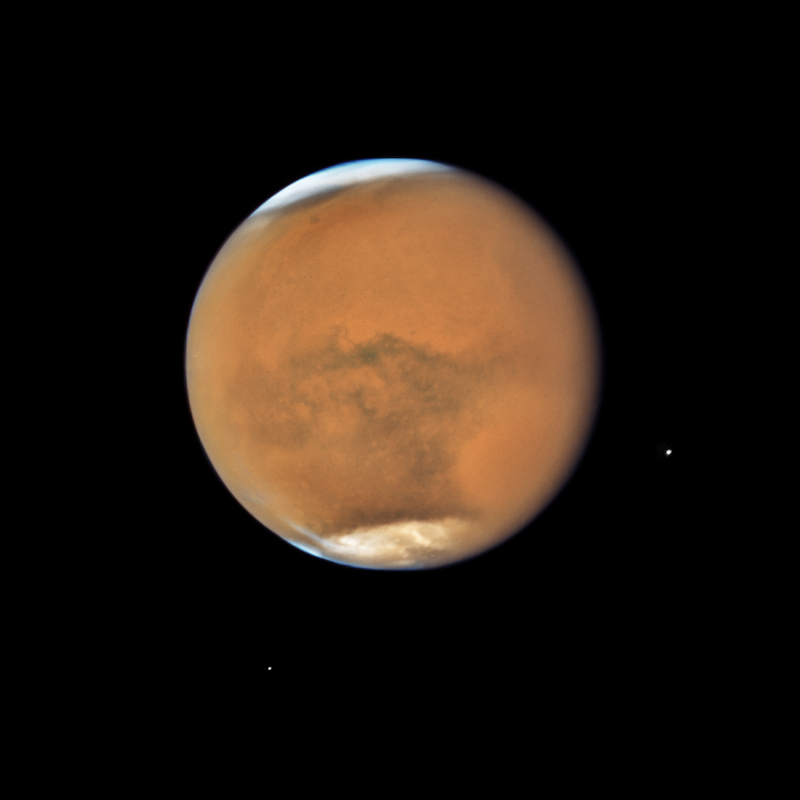 In the new study, the atmospheric pressure was the main focus on Mars terraforming. Currently, the atmospheric pressure on the red planet is around 0.6% that of Earth's. This would cause any liquid water on the surface to quickly evaporate or freeze. The study found that even if all sources of carbon dioxide and water were liberated from Mars - those from the polar caps, minerals and soil - it would only increase the pressure to about 7% that of Earth, far short of what is required for terraforming. “These data have provided substantial new information on the history of easily vaporized materials like carbon dioxide and water on the planet, the abundance of volatiles locked up on and below the surface, and the loss of gas from the atmosphere to space,” said study co-author Dr. Christopher Edwards, of Northern Arizona University. 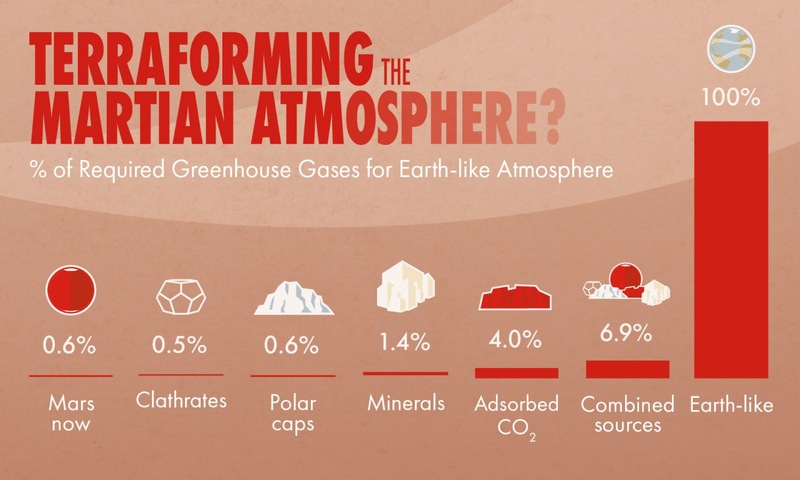 “Our results suggest that there is not enough carbon dioxide remaining on Mars to provide significant greenhouse warming were the gas to be put into the atmosphere; in addition, most of the carbon dioxide gas is not accessible and could not be readily mobilized. As a result, terraforming Mars is not possible using present-day technology,” said study lead author Dr. Bruce Jakosky, from the Laboratory for Atmospheric and Space Physics and the Department of Geological Sciences at the University of Colorado, Boulder.